Designed with you, for you. Our Wardrobes Simply Sell Themselves…. An excellent service from start to finish. Very helpful and expertly fitted and installed. Quality doors and fittings. Brilliant, you give the customer exactly what they ask for and give advice on improvement if need be, it was exactly what we wanted. I was very impressed with the installer, a beautiful job, he didn’t stop, and cleaned up after himself too! Great – would recommend highly, they’re just what we wanted and could afford, very pleased. We are very pleased with the finished product, thank you! Your designer was very helpful and efficient. He showed me different options and talked through our specific issues (sloping ceiling, etc). The installation was very simple and straightforward. The fitter worked very efficiently and left the room clean and tidy. Style, Quality, Choice & Value. 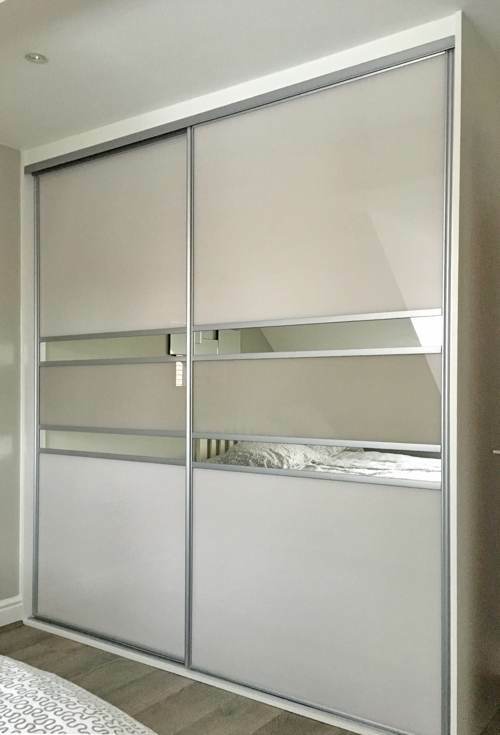 Simply Sliding Wardrobes is a Kent-based company that specialises in sliding door wardrobes. 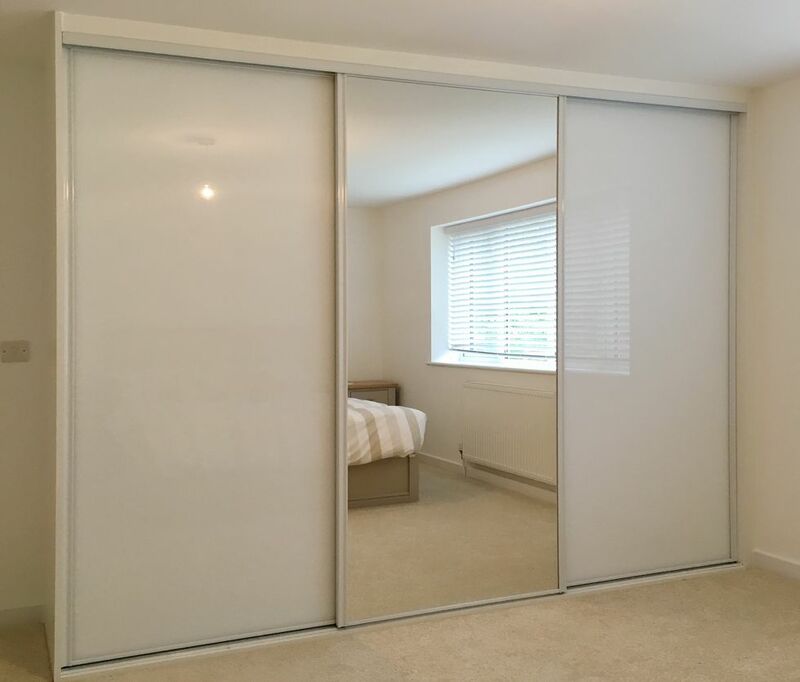 Simply Sliding Wardrobes are ideally located to install sliding wardrobes in London, Surrey, East Sussex, West Sussex and Essex and across the whole of the South East. With Simply Sliding Wardrobes you get style, quality, choice and value when it comes to having sliding door wardrobes installed in your home – we simply know what you expect. Browse our range of sliding wardrobe options, excellent customer reviews and take a look at our competetive prices below. Made to Measure Fitted Sliding Wardrobes. 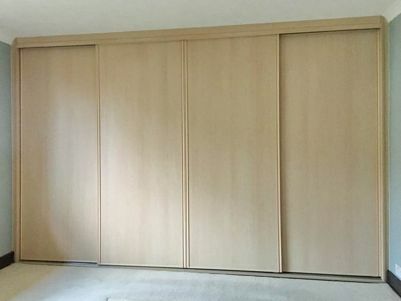 All of our sliding doors are made to measure by Simply Sliding Wardrobes following your initial designer appointment. As we have complete control over the manufacturing process, you can rest assured you are receiving a completely bespoke storage solution with a style of your very own, made to your specifications. 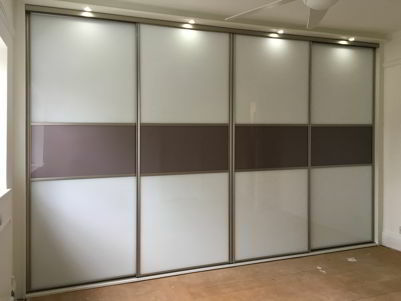 At the heart of our sliding wardrobes is the quality of the sliding door systems and the materials we choose to use for your sliding wardrobe interior. This is an integral part of the reliability and superb appearance of our sliding door wardrobes, no matter what style you choose. With thirteen different frame colours, over thirty different glass colours, and over fifteen different board colours, you’re completely free to create the wardrobe of your dreams. 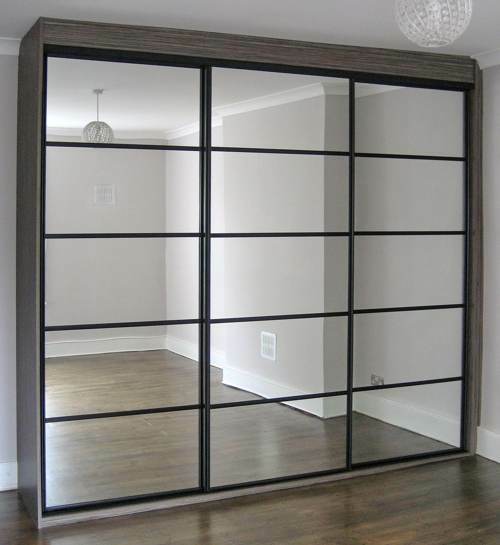 Need Contemporary, Corner or Mirrored Sliding Wardrobes? We’ve got you covered. 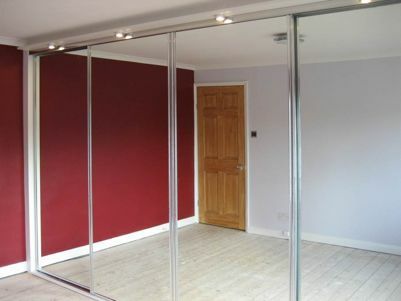 See how our Mirror Wardrobes can create a feeling of space and depth in your bedroom. Don’t let small spaces intimidate you, our Corner sliding wardrobes are useful, but not inconvenient. Our Contemporary Sliding Wardrobes can help bring a modern touch to your bedroom. 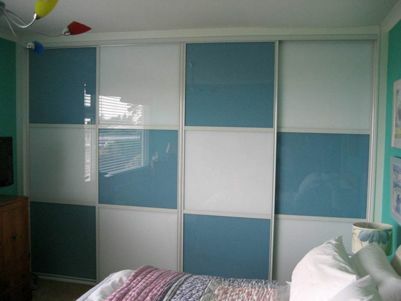 See what these wardrobes have that can brighten your Kids bedroom. Stylish, pristine, these wardrobes are just as much useful as they are beautiful. Looking for something more traditional? Then what our Wood Effect sliding wardrobes can do for you. At Simply Sliding Wardrobes we work with our customers to deliver exactly what they are looking for. And yet our prices are very competitive. At Simply Sliding Wardrobes everything we do is made to measure – not adapted to fit. Our sliding doors, drawers, hanging heights and shelving is completely made to your requirements following your no-obligation designer visit. We appreciate everyone is individual and every home is not the same. 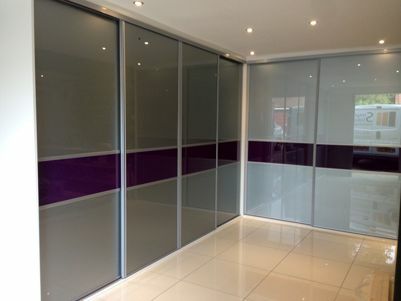 Whether you are looking for a contemporary sliding door wardrobe, wood sliding wardrobe or a sliding mirror wardrobe, we will endeavour to give you our best advice and experience when working with you to get the best out of your storage area and to maximise the space to create a wardrobe that perfectly complements the room. Quality Sliding Wardrobes With a 10-Year Guarantee. 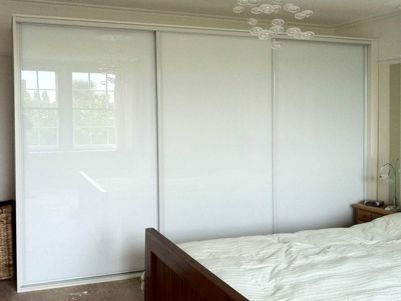 Simply Sliding Wardrobes are proud of the sliding door wardrobes that we expertly design and install. 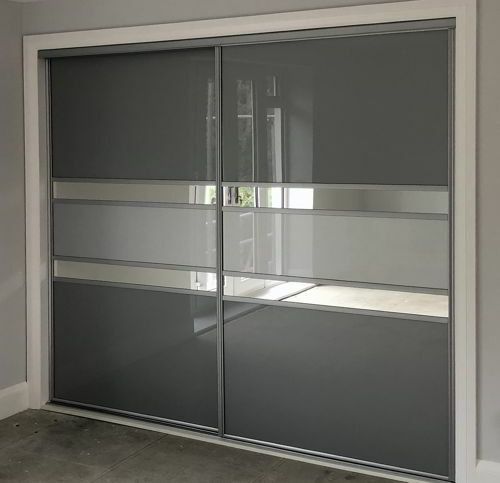 We are focused solely on fitted sliding door wardrobes, so you can feel confident that with our many years of experience we understand all aspects of sliding wardrobes. Aside from our range of options, each of our wardrobes comes with a 10-year guarantee, so you can be sure you are getting a quality product that will last.